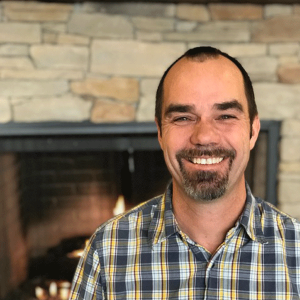 Matt has been the Lead Pastor at River Ridge since the Church’s inception in 2002. In Matt’s role as Lead Pastor, he serves as the teacher and communicator on Sunday morning services. Before planting River Ridge, Matt was on Young Life Staff for 9 years and a pastoral intern at Chestnut Ridge Church in Morgantown. God called Matt and his wife Stacy to move from Morgantown, WV to Charleston to begin River Ridge Church. Their vision was to create a church where people who didn’t go to church could come and feel welcome in a casual atmosphere where God’s word was taught in a practical way. Matt grew up in Cincinnati, Ohio, and has a degree in Government from Connecticut College and a Masters in Theology from Trinity Seminary in Deerfield, Illinois. In Matt’s spare time he coaches University of Charleston Men’s Tennis team which he affectionately refers to it as the “hobby I get paid for.” Matt and Stacy have four children: Emily, Riley, Will and Ben.